A dental implant is a titanium metal rod which is placed into the jawbone. It is used to sup port one or more false teeth. In practice, both the false teeth and their supporting rod are known as ‘implants’. Can I have the new teeth straight away? No. The implants need to bond (integrate) with the bone after they have been placed. This takes at least 3 months in the lower jaw and 6 months in the upper jaw. If you are having one, two or three teeth replaced, you will have a temporary restoration in the meantime. If you have complete dentures, then you can wear them throughout the healing period once they have been adjusted after the surgery. It takes about 12 months from the initial assessment to the time when the artificial teeth or dentures are finally attached to the implants. However, if only the lower jaw is involved then it may only take around 5 months. A lot depends on how complicated your treatment is. Your dentist will be able to give you a timetable once the surgery has been done. Yes, if you don’t care for them well enough. If you keep them clean, and don’t smoke, then you should not have any problems. What if I get hit in the face? Implants and the teeth they support can be damaged by an accident in the same way that natural teeth can. 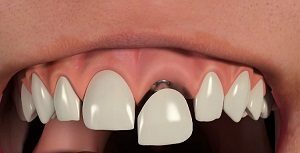 However, if the false teeth are damaged and the remnants are left in the bone then they may be more difficult to remove than natural teeth would be. 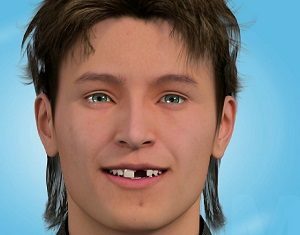 After healing, new false teeth can then be placed alongside the fragments. Unfortunately, yes. However, in many situations, the cost of the treatment is only a little more than the cost of more conventional treatment with crowns and bridges. There are advantages to it, too. 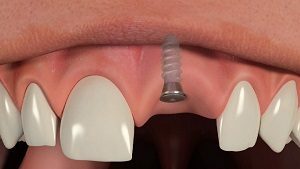 An implant to replace a single tooth avoids the need to cut down the teeth either side for crowns to support a bridge. Normal dentures often mean you can’t eat or speak well, due to the dentures moving about. But teeth attached to an implant don’t cause this problem. Talk to your dentist, so you can be referred to a specialist for assessment and treatment. 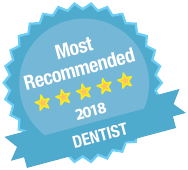 Your dentist may already carry out some or all of this type of treatment and will give you the advice you need.